Celebrate TNG's 30th with a Skant and a Shuttle! It’s time to celebrate the 30th Anniversary of Star Trek: The Next Generation in style! 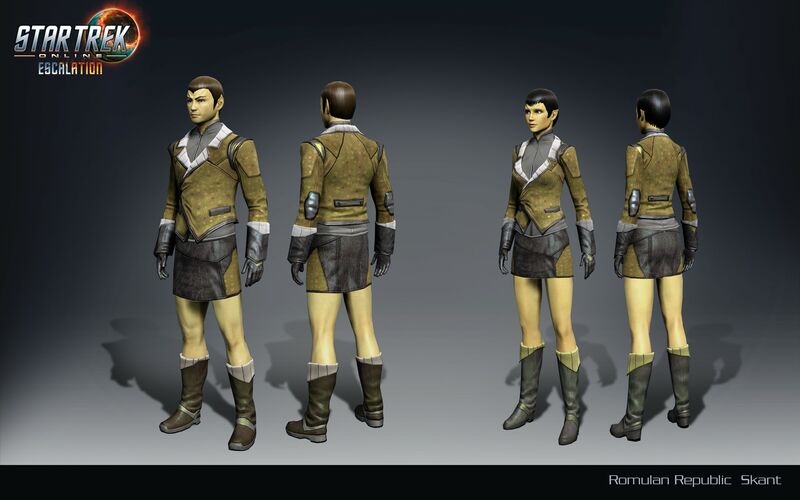 From Thursday, September 28th at 9am Pacific, ‘til Thursday, October 5th at 10am Pacific, the brand new “Skant” uniform will be free to all Captains in Star Trek Online! 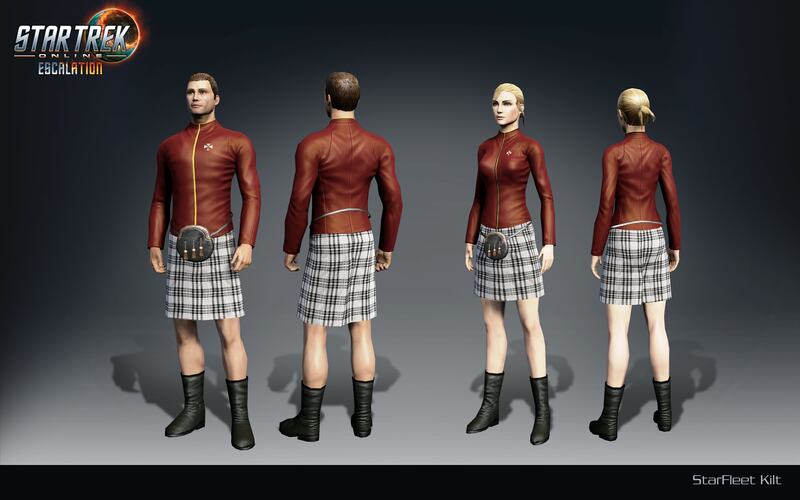 This classic uniform style was first seen on Star Trek: The Next Generation, and will be available to both male and female Federation Captains on PC, and coming soon to Xbox One and PlayStation 4! But that’s not all! 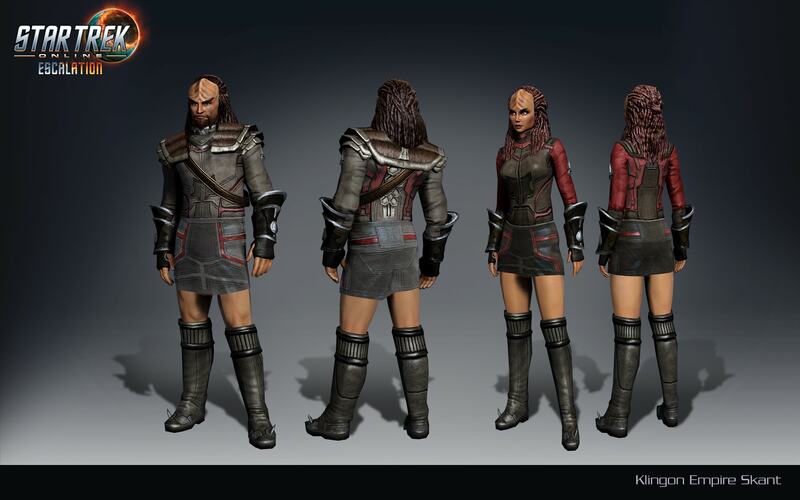 Tailors across the galaxy are getting into this retro style, and a Skant-like apparel option will be available to both male and female Captains of the Klingon Empire and Romulan Republic as well! Not only that, but Federation Captains can put themselves into a kilt! All of these costumes will be in the Promotions tab of the C-store, click through below to see them all. Itching to fly missions in true TNG style? In celebration of the 30th Anniversary of Star Trek: The Next Generation, all Federation Captains will soon able to claim a Type 7 Shuttle for free! This versatile and rugged small craft was designed to serve the crew of the U.S.S. Enterprise (NCC-1701-D) in situations where technology such as transporters would otherwise fail, serving a pivotal role during multiple episodes of the television show. And now it can be yours, in the Promotions tab of the C-store! An elite upgraded shuttle, used for short-range missions, Type-7 shuttlecrafts were in limited circulation in the mid-24th century, appearing on a moderate number of starbases and starships, including the Galaxy-class U.S.S. Enterprise (NCC-1701-D). These hardy small craft are equipped with an Ensign Engineering Bridge Officer station, and an Ensign Universal Bridge Officer station. Enjoy your new small craft, and enjoy all of the TNG era gifts! Grab them while they last!